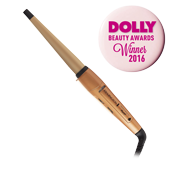 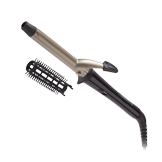 Creating glamorous curls with the Perfect Curl Advanced thanks to its ingenious reversible spiral guide. 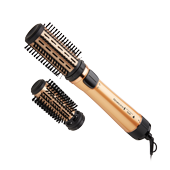 Keratin & Argan Oil infused conical barrel allows you to nourish your hair whilst creating natural curls and waves. 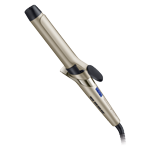 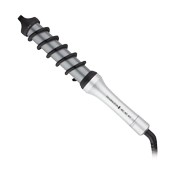 Create defined curls and waves faster with longer lasting results. 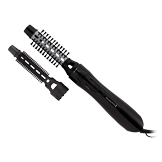 Dry and style with one tool.